I saw several children at Camp Adventure! last week who had also attended in 2017, including Paige (left). Paige will be a first grader this fall at Atherton Elementary School in the Fifth Ward. It was inspiring to watch her interact with other children her age and engage in activities led by the teacher and volunteers. You see, last year Paige had difficulty socializing and needed one-on-one support with classroom activities. She certainly has developed! I continued circulating around the room and stopped at Aiden, who, with a little coercion, opened the book and began swiftly reading it aloud, moving through the words and turning each page without error. As a rising first grader, he left an impression. Every child I encountered did, really, in his and her own special way. As I reflected on the visit to Camp Adventure! it warmed my heart to know that so many people in our community – corporate partners, community partners, hundreds of volunteers, and donors – cared enough to join us in providing an incredible, two-week summer learning experience through Camp Adventure! On behalf of our entire team, thank you for making a difference in the lives of Paige, Ellianna, Aiden and the hundreds of other children who participated. 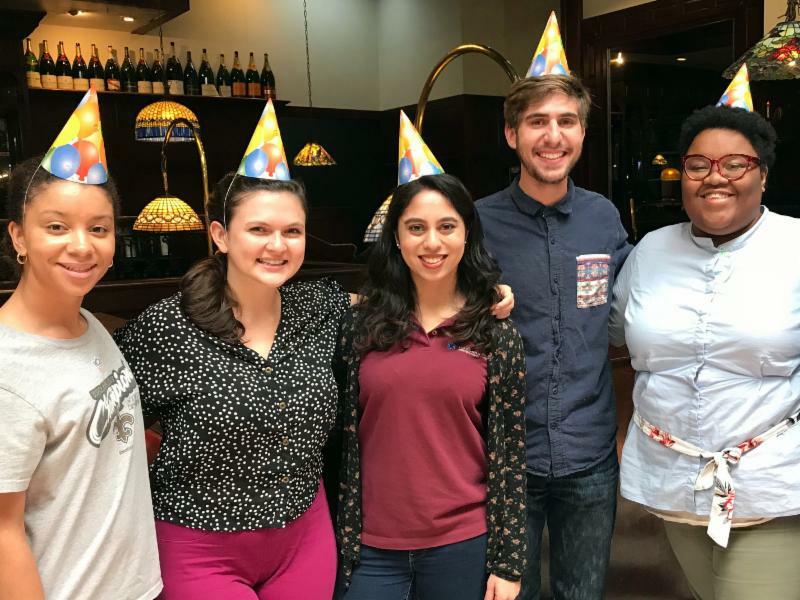 In partnership with the Corporation for National and Community Service and the OneStar Foundation, an incredible team of AmeriCorps Volunteers in Service to America (VISTA) members joined the Foundation this past year. The federal AmeriCorps VISTA program is designed to address pressing challenges in our country, such as low literacy and poverty. Our team of five AmeriCorps VISTA members invested their time, talent, and passion to implement strategic initiatives like My Home Library, Camp Adventure! and the Curiosity Cruiser. We are indebted to them for acting as catalysts to advance our important mission in the community. We thank them for their service and wish them all the best in their future endeavors. From left to right: Mercedes Landry, Olivia Lewis, Marina Khalid, Cameron Zein-Eldin, Shalethia Jones. 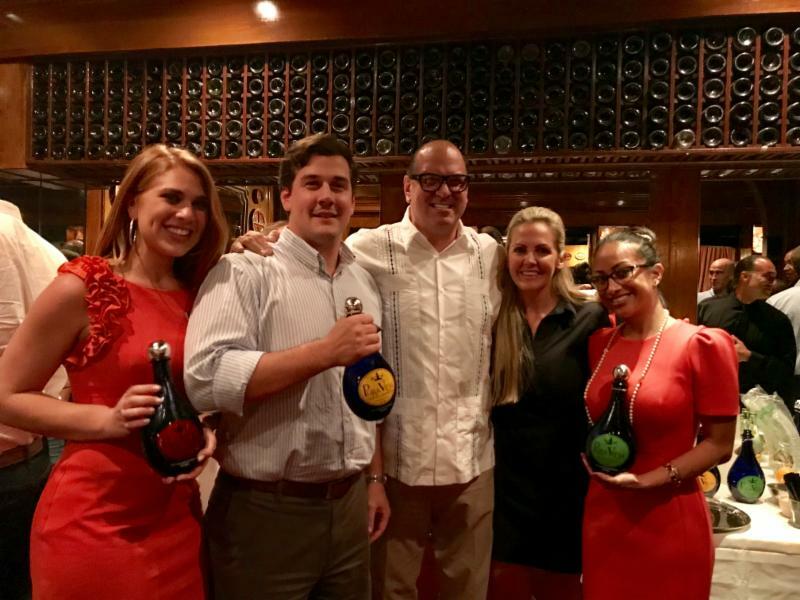 Our Young Professionals Group hosted a festive “Tacos and Tequila” networking event at the popular Tex-Mex restaurant Armandos featuring Pura Vida Spirits tequila. Stewart and Kaitlyn Skloss, founders of Pura Vida Spirits, were on hand to educate members on tequila and provide margaritas and tastings from their line of three tequilas: silver, añejo, and reposada. Our YPG sure knows how to have a good time and do good in the community! Join our YPG to engage with other passionate, community-minded leaders in the literacy cause. 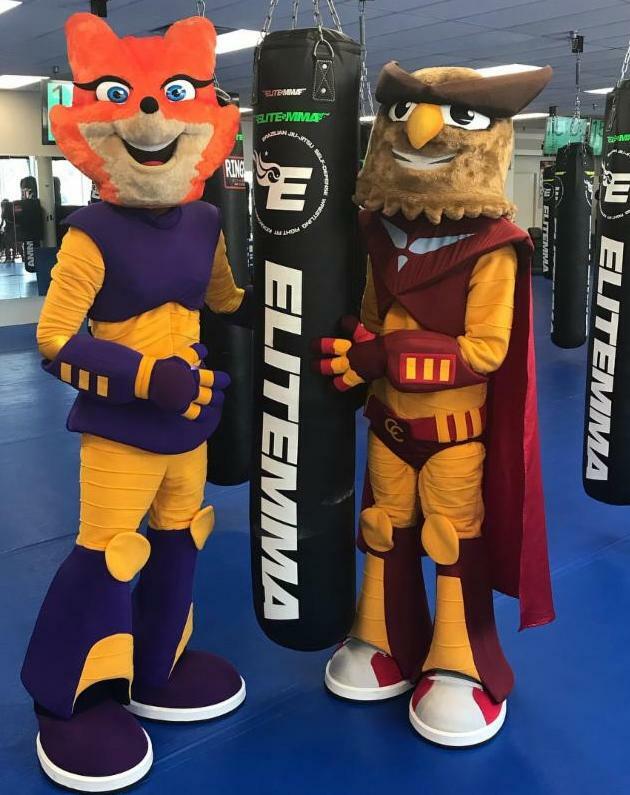 Top mixed martial arts training facility, Elite MMA, hosted its annual kick- and roll-a-thon at its headquarters in Houston. 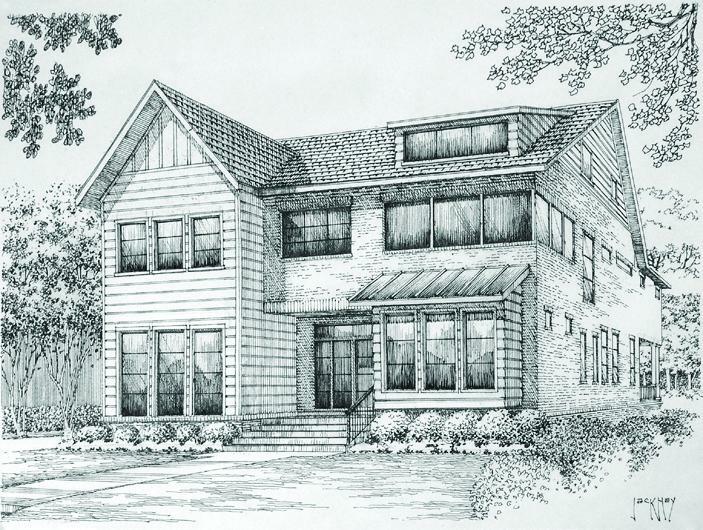 This year’s event benefited the Barbara Bush Houston Literacy Foundation and raised $20,000 to rebuild home libraries for nearly 800 children in Houston impacted by last year’s hurricane. We are grateful to Elite MMA for hosting an incredible event and to all the participants and attendees! Foundation staff and YPG members participate in the Kick-a-thon. Evidence of why Barbara Bush’s life’s passion was literacy. The Curiosity Cruiser launched its full-time commitment to 100 stops this summer, spanning across Harris County from Hockley, Crosby, Pasadena, to around Houston. 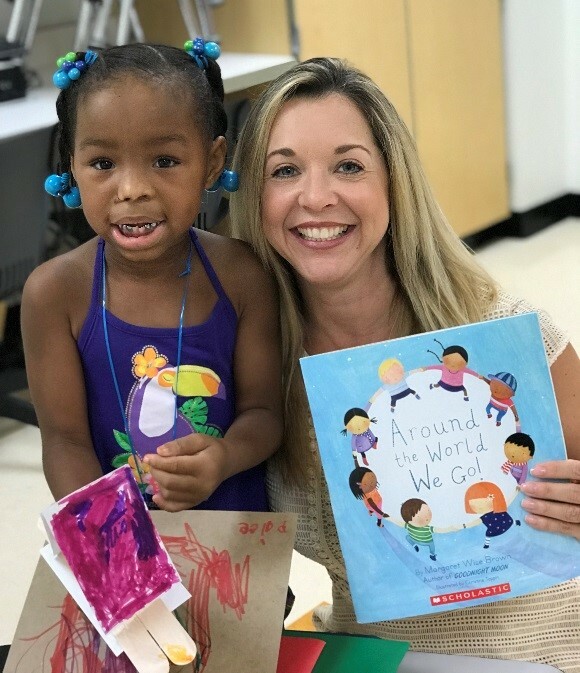 The Harris County Public Library team partnered with seven low income housing apartments to offer educational programs, book check-out, and the love of reading through story time and book giveaways. 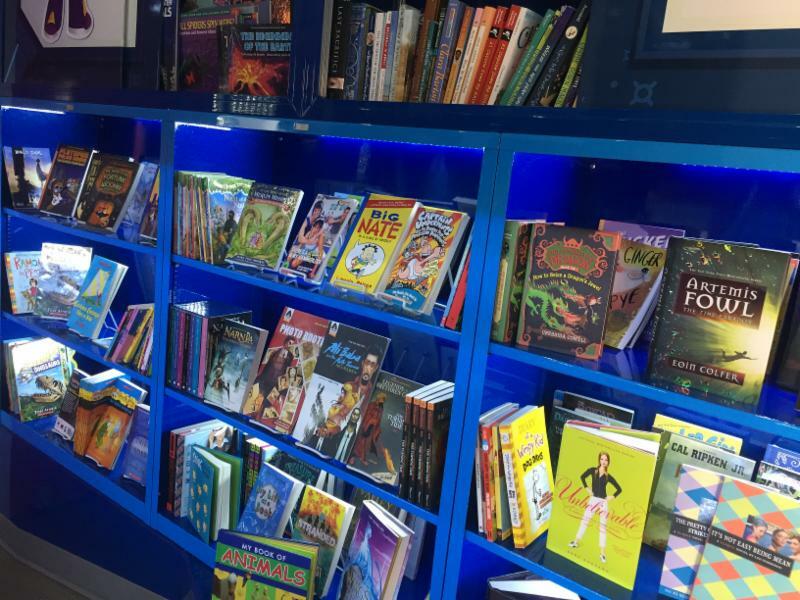 The educational programs are integrated science, technology, engineering and math (STEM) and provide children a fun way to be engaged and encourage reading this summer. As an incentive to return each week, children ages 4 – 18 select one book in the first week and return the next week, to choose two books; third week = three books, and so on. 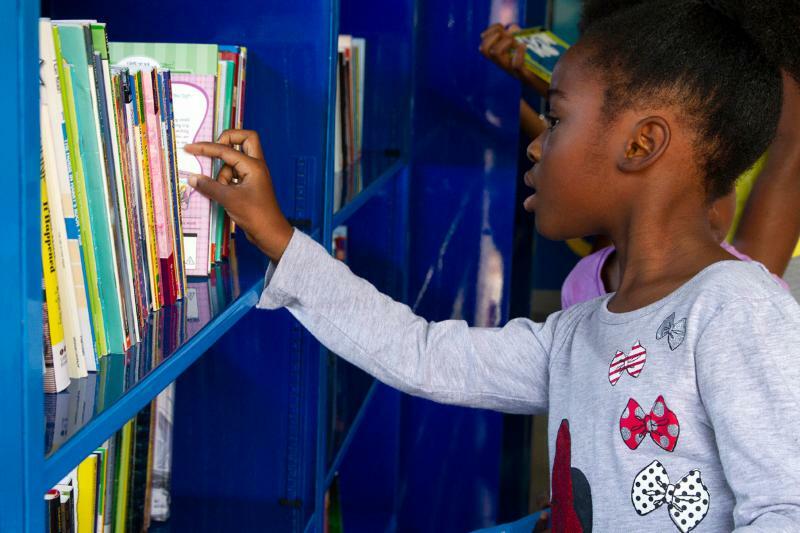 Children who attend all 10 weeks will have acquired 55 books for their own home library! 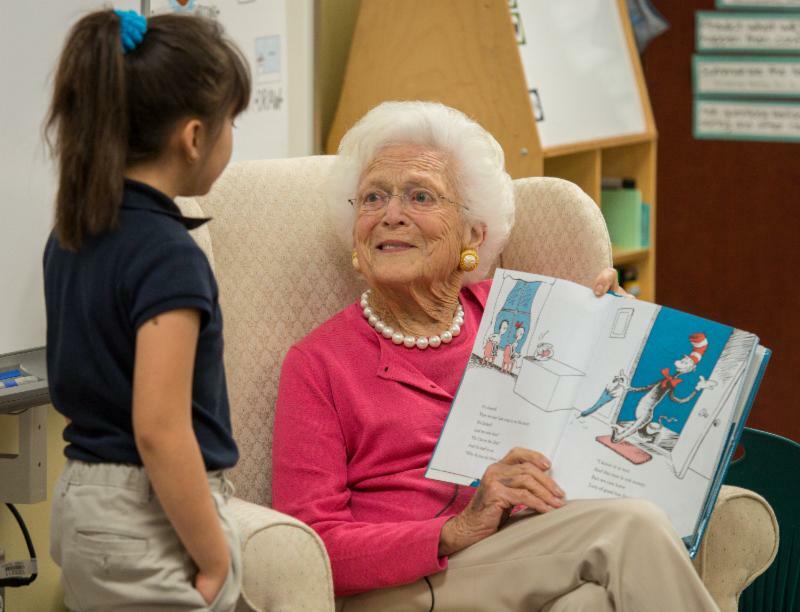 A valued partner since our inception, ConocoPhillips recently made a special gift to the Foundation of $50,000 in honor of former First Lady Barbara Bush’s lifelong commitment to literacy. The gift will kickstart the implementation of the Foundation’s new strategic plan that will be unveiled during National Literacy Awareness Month. The Foundation has many unique ways to give back to the organization, including Shop for a Cause. 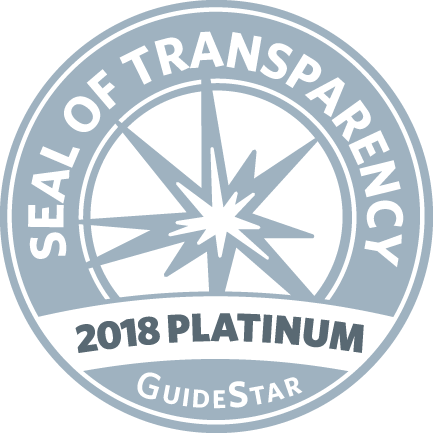 Through partnerships with Amazon Smile, iGive.com, Kroger Community Rewards Programs, and Randalls’ Good Neighbor Program, the Foundation receives a portion of the proceeds from purchases at participating stores. 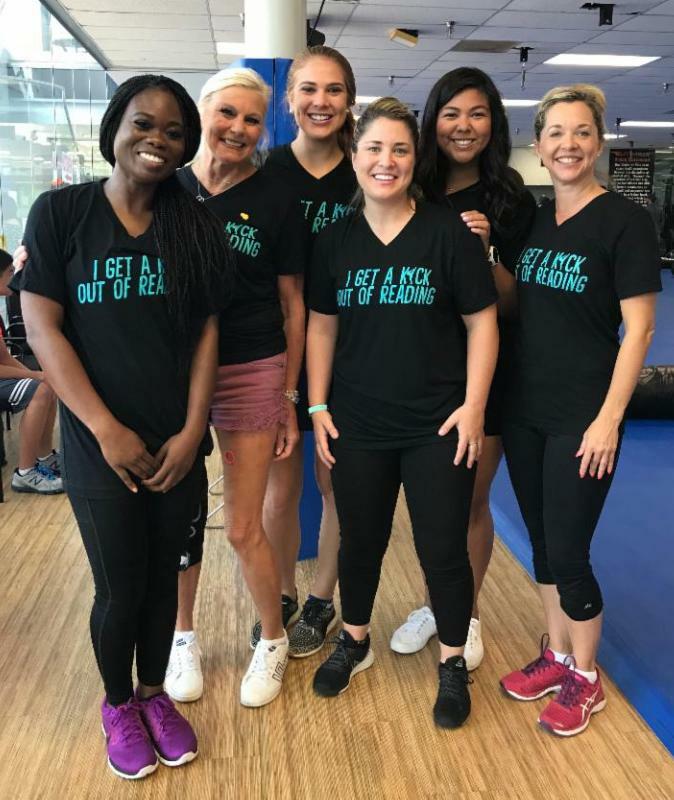 The Barbara Bush Houston Literacy Foundation is a great place to work while making a meaningful impact in the lives of others through the power of literacy. We currently have four opportunities to join our team as either an AmeriCorps VISTA or a full-time staff member.